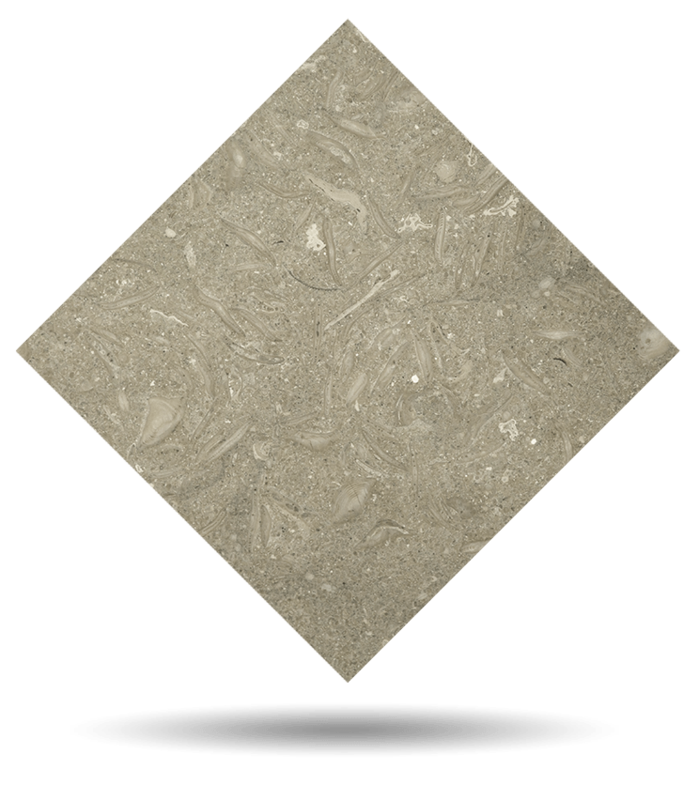 Grey Osiris is a grey limestone, fossiliferous and biomicrite type, natural stone. It houses graceful marine fossils in its composition. The main mineral it contains is calcite. This natural stone is a faithful testimony of ancient times that reveals tangible snapshots of what happened millennia ago. Its grey base is tinged with a multitude of cream sparkles thanks to its marine fossils, suspended in an eternal flow. Timeless in its bearing and faithful to the Egyptian god whom this natural stone is named after (who gives it its name), it is dressed in a mysterious aesthetic capable of conferring intrigue and luxury to the design of interiors, bathrooms, kitchens, worktops and showers of high standing. 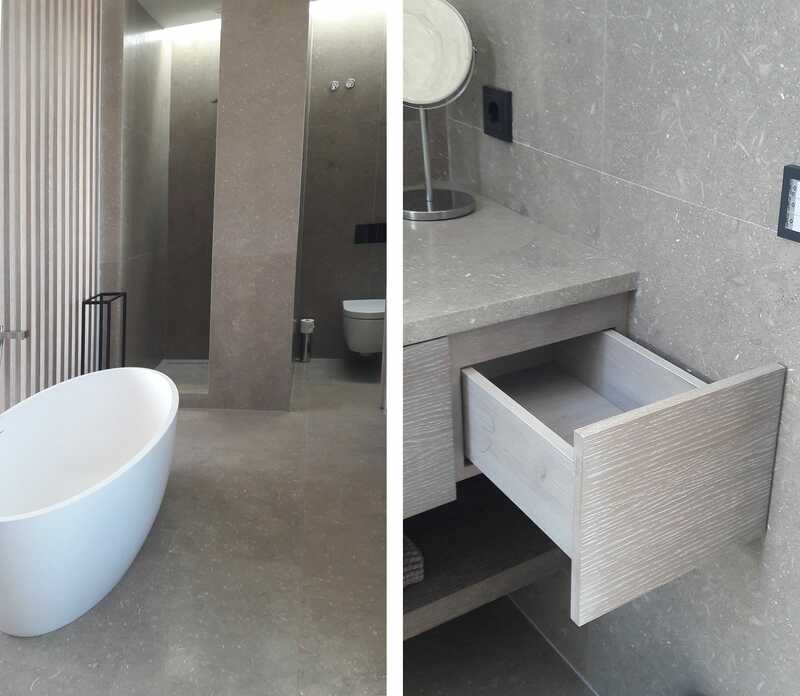 Osiris Grey has been chosen by the most distinguished architects and interior designers in the field of natural stone flooring and luxury hotel and catering. Tino Collection standard surface finishes are: Polished, Honed, Domus and Sandblasted. 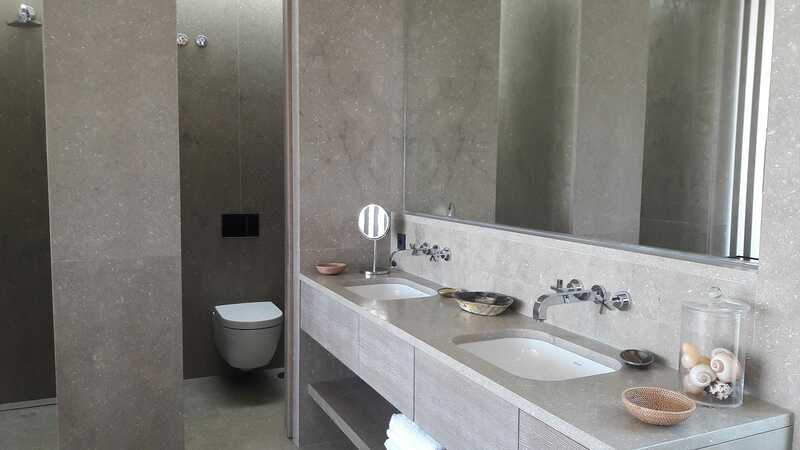 Tino offers grey limestone Grey Osiris in any formats and finishes desired by the customer. Check maximum size per finish. For other finishes, please check availability and sizes. Sizes can be adapted to each project requirements. Standard thickness is 2cm and maximum size for this thickness is 200x95cm. For other thicknesses, check available sizes.